In 2016 alone, there were more than 4,900 people killed while riding a motorcycle. This number is more than twice the number of people who were killed only twenty years ago. Motorcycle accident fatalities accounted for about 10 percent to 15 percent of all motor vehicle fatalities in 2016. Close to 30 percent of motorcycle riders who were killed did not have a license to operate their motorcycle. Around half of the motorcycle accidents were single-vehicle collisions while the other half involved another motor vehicle, such as a car. These statistics help to demonstrate just how serious motorcycle accidents can be. Over the years, there have been extensive efforts to try to identify trends in motorcycle accidents so that preventative tactics can be used to save lives. Almost 50 percent of the deaths on the road are suffered by people with the least amount of protection (pedestrians, motorcycle riders, and bicycle riders). Motorcycle riders make up about one out of every ten road deaths in Europe. They make up about one out of every seven people killed on the road in the United States. Motorcycle riders make up about a third of the road traffic fatalities in Asia. The circumstances that led to the crash, including the weather and the road conditions. The type of motorcycle that was involved. Information on the rider, including whether or not they had a valid license. The types of injuries that were sustained. The number of vehicles that were involved. The impact point of the accident, if another object or vehicle was involved. The overall prognosis of the injured parties. After collecting this data, detailed statistical analyses were performed to draw statistically significant conclusions from the data sets. Some of the results from the study are discussed below. Around 80 percent of the crashes the researchers looked at involved another motor vehicle. About 5 percent of the collisions involved a single motorcycle without another object. The remaining 15 percent of accidents involved a motorcycle colliding with a non-motor vehicle object. Close to 90 percent of the fatalities resulted from motorcycles colliding with other motor vehicles. The researchers then divided up the accidents to look at the various factors that could have played a role in the crash. The overall physical shape that elderly individuals are in. Slower reflexes in elderly individuals. Changing perceptions of safe vs. unsafe conditions as people age. Overall, the changing fatality rates across age groups are also reflective of changing experience rates, driving abilities, and physical conditioning as people age. Those who did not wear a helmet were at a 33 percent greater risk of dying in a motorcycle accident. People riding motorcycles in states without universal helmet laws were about seven times less likely to be wearing a helmet at the time of the accident. Helmet use significantly decreased the risk of suffering a head, neck, or spinal cord injury. Overall, there is a strong relationship between wearing a helmet and the behavior of the motorcycle rider. Specifically, the researchers point out that not only do helmets keep people safe, but those who wear a helmet are more likely to exhibit safe motorcycle riding behaviors. About 90 percent of the motorcycles that collided with cars resulted in severe injuries or death. If a motorcycle collided with a pickup truck, the risk of fatality went up by about 75 percent. If a motorcycle rider struck a tractor-trailer, the risk of suffering a fatality went up by more than 100 percent. While it may appear obvious that collisions with another vehicle increase the risk of death, it is important to note that this risk jumps dramatically. Therefore, motorcycle riders need to make sure that they are aware of other vehicles on the road. Without the protection of a metal frame, the risk of death is significantly higher. Motorcycle accidents that occurred during the day were about 33 percent less likely to result in a fatality when compared to those that happened at night. The chances of a fatality dropped another 33 percent of the accident did not occur at an intersection. Intersections without adequate lighting were about 40 percent more likely to result in a fatality. These numbers indicate that motorcycle riders need to exercise extra caution when riding at night. The lack of adequate lighting can obscure dangers that could lead to a severe accident. Furthermore, intersections are particularly dangerous because of the chances of colliding with another vehicle increase dramatically. Watch YouTube Video: Avoid Accidents by Using these Motorcycle Safety Tips. This video provides some essential motorcycle safety tips on what you can do to make yourself safer on the road and avoid accidents. Motorcycle accidents have the potential to cause serious injuries and could lead to irreparable damage to families everywhere. When a loved one suffers traumatic injuries in a motorcycle accident, this could leave families wondering where they should go for help. For help with tough questions, families should reach out to a motorcycle accident attorney in Sacramento. An experienced lawyer has the experience necessary to help families in their time of need. I’m Ed Smith, a Motorcycle Accident Attorney in Sacramento. 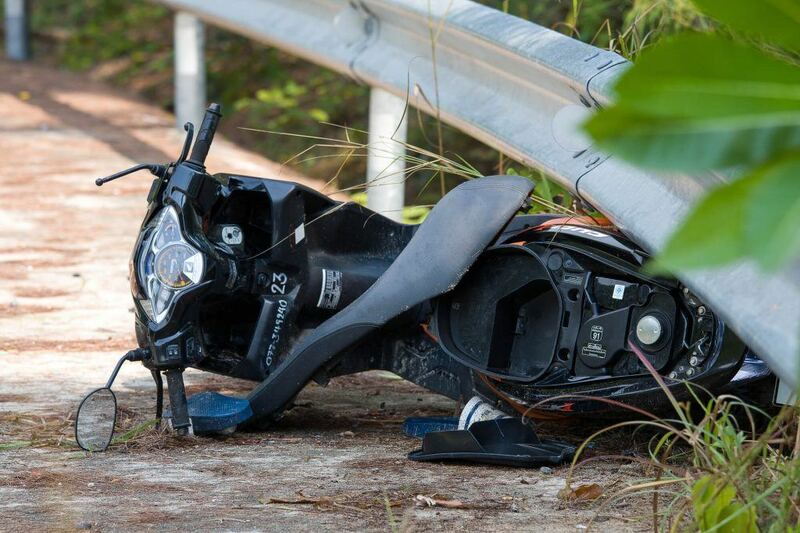 Accidents involving a motorcycle can have the potential to be deadly. If you or a loved one has suffered injuries in a motorcycle accident, call me at 916.921.6400 or (800) 404-5400 for free, friendly legal advice. To see a list of our past cases, go to our verdicts or settlements page.